Some claim he was the definition of the term power forward. He could do it all: score, pass, dangle, hit and fight. With this said, Cam Neely is an easy induction into the Hoss Hall of Fame. At 6’1" and 215lbs, Neely owned the ice when he played scoring clutch goals, knocking you out of the game with a clean hit or just dropping the gloves and beating you with uppercuts to the chin. Neely's rise to fame began after a great season with the Portland Winter Hawks of the WHL in which he led the team to the Memorial Cup Championship (becoming the first US-based team to claim the Cup). In his last full year with Portland, he put up 56 goals, 64 assists for 120 points and tossed in 130 PIMs. 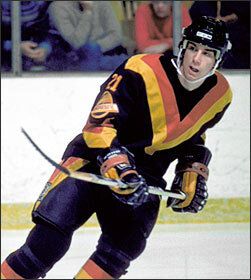 After that standout season, he was drafted 9th overall in the 1983 NHL Entry Draft by the Vancouver Canucks. Neely played 3 seasons with the Canucks before being traded to the Boston Bruins in a deal that almost immediately became apparent that the Bruins had won. The Canucks traded their 1987 1st round pick (which was 3rd overall, Bruins selected Glen Wesley) and Cam Neely to the Bruins for Barry Pederson. Pederson was only 25, but never did have the same success with the Canucks as injuries slowed him down. In his first season with the Bruins, Neely led the team in scoring with 36 goals and almost doubled his point total with 72 points and chipped in 143 PIM. He became an instant fan favourite with his quick and accurate shot, bone crushing hits and willingness to drop the gloves with anyone in the league. Neely put up his best season in 1989-90 when he scored 55 goals and had 92 points in 76 games. The season before he had a career year in PIMs with 190 and still scored 37 goals. Neely would not only light up goalies, but punish them if they left their crease. Neely was the ultimate power forward and earned the nickname 'Bam-Bam Cam'. During the 1991 playoffs, Neely was checked by cheap shot artist Ulf Samuelsson, and injured on the play. The low hit caused Neely to develop a condition known as myositis ossificans, where a portion of the muscle in his thigh turned to bone and later that season had surgery related to the original blow. Neely was never the same after that and only played 22 games over the next 2 seasons. He was still a force on the ice in the few games he did play, scoring 20 goals and 30 points in those 22 games. In the 1993–94 season, Neely scored his 50th goal in his 44th game, only Wayne Gretzky has scored 50 goals in fewer games. This milestone is unofficial however, as the 50 goals must be scored in the first 50 games the team plays, counting from the start of the season. Neely was still playing through pain and couldn't play back to back nights that season. 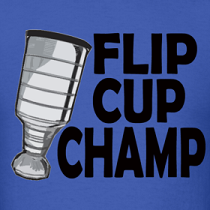 This perseverance earned him the Bill Masterton Memorial Trophy that season. The 1994 season was also big off the ice, as Neely made his big screen debut in Dumb and Dumber, playing a trucker named Sea Bass. Neely would have to retire after the 1996 season at the age of 31 because of his ailing hip. The Big Hoss was always in constant pain and it was amazing that he still tried to play through it. 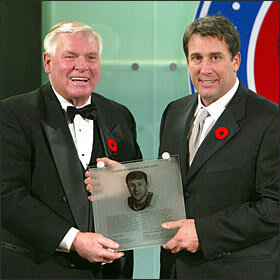 Neely was inducted into the Hockey Hall of Fame in 2005 and is the current President of the Boston Bruins. Neely was awesome. I can still remember watching him light it up back when he couldn't even play back to back nights.